A discarded thong. A running hose. A lonesome peg, and blades of grass. It's the scene of a fairly usual backyard, right? Not quite. 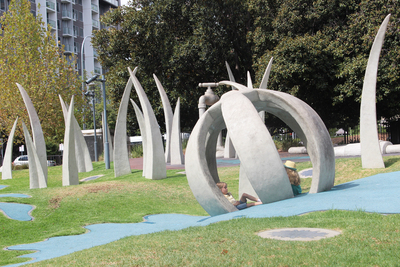 Hindmarsh Square playground is one of Adelaide's strangest play spaces, with sculptures of an oversized garden replacing the usual swings or slides. 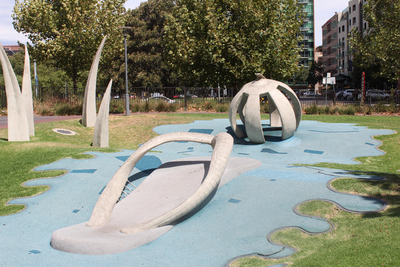 The playground is tucked just behind Rundle Mall, on the north-west corner of Hindmarsh Square. There are sculptures to run through, climb over, and explore. Unfortunately if you're just out with one child there isn't too much for them to do on their own. 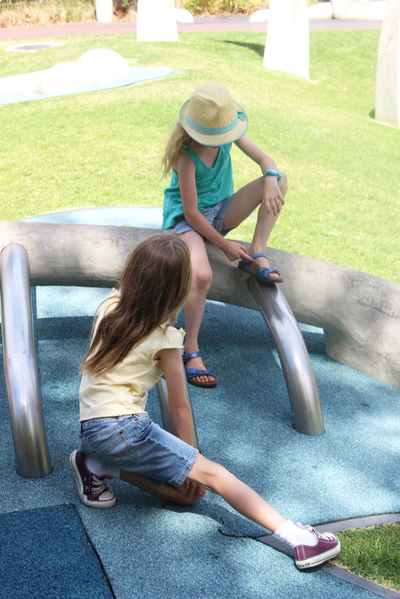 While the playground looks cool, most of it isn't particularly interactive. It's best if you've got at least two kids who can come up with their own imaginative play. Saying that, even giving kids somewhere to run around freely after a day of shopping down Rundle Mall could be a welcomed break. Older kids will also enjoy just hanging out on the playground, but note that it is only for children under 12. 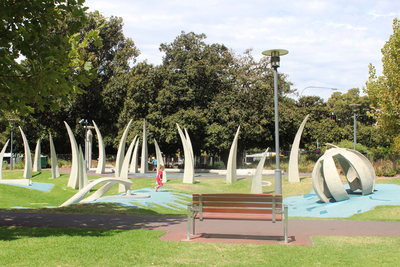 There is a public toilet near the playground, and you'll also find shops and food nearby at Rundle Mall. There are four other areas of Hindmarsh Square, but you'll need to cross the road to get to them. While they don't have many fun things to play on they do sometimes play host to food trucks or other organised events. 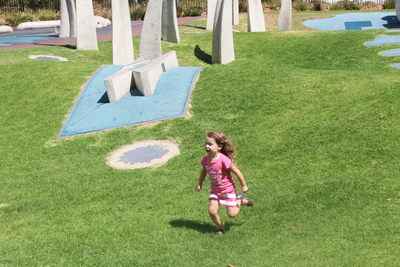 It might not be the best playground in Adelaide, but it's definitely unique and very interesting. General consensus from our child reviewers was that the park needed an interactive water fountain, a bit like the one down at Glenelg. Now that would make it really fun.